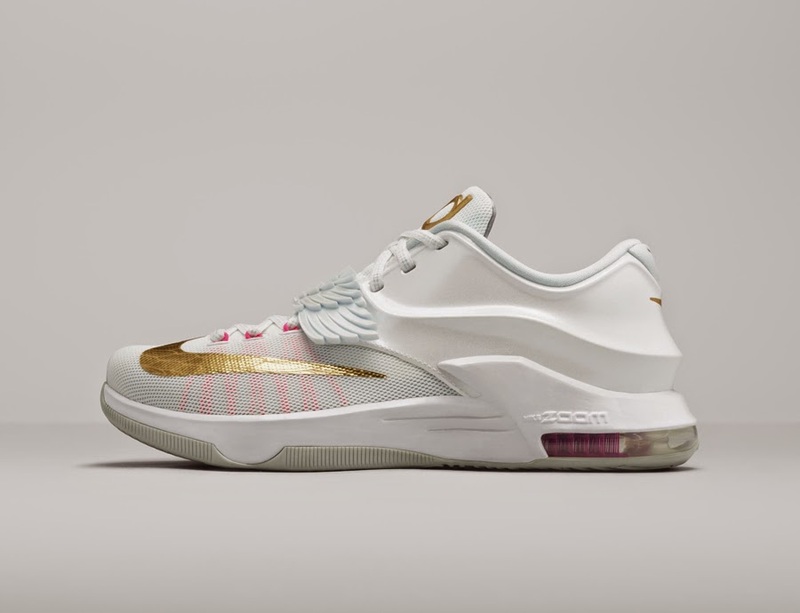 A special colorway of the KD7 features a pearlescent finish and angel wings as a fitting tribute to Durant’s Aunt Pearl. 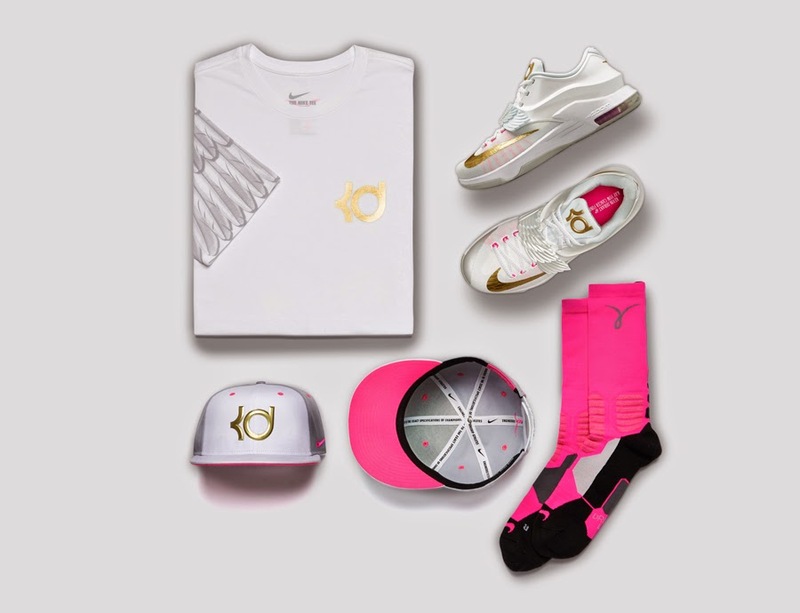 Kevin Durant lost his beloved Aunt Pearl to lung cancer in 2001, and he promised himself to keep her memory alive. Durant came up with the idea of an angel tattoo as a tribute to his late aunt’s grace and humility. 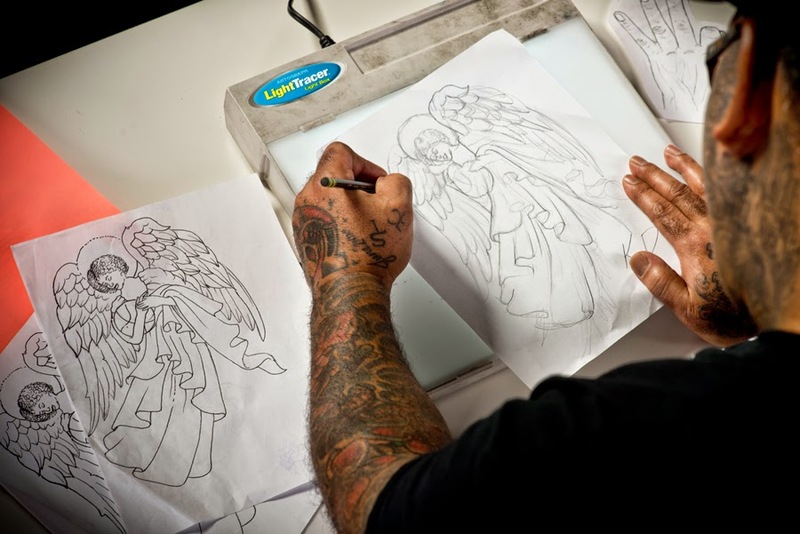 He brought an initial concept to tattoo artist Randy Harris, who designed an angel taking flight. It was scaled to fit beneath the “Maryland” tattoo on Durant’s back. 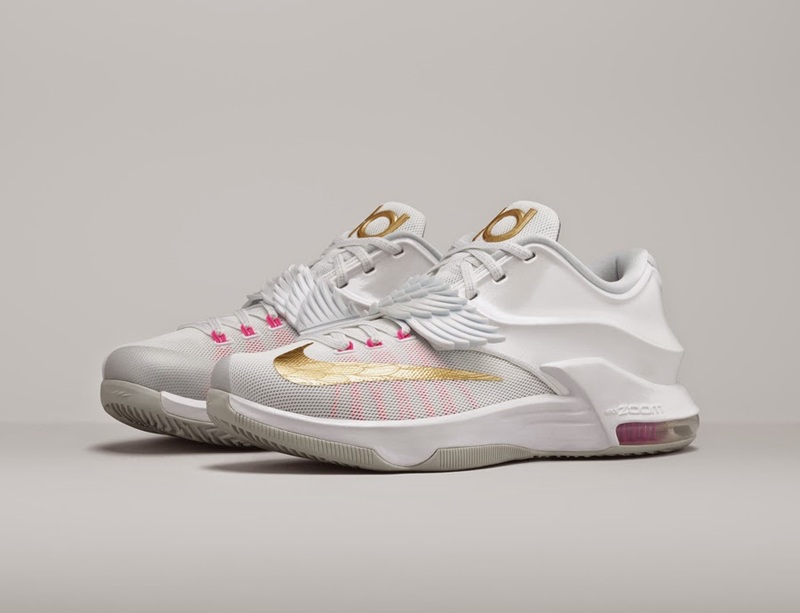 Harris completed the tattoo on the 10-year anniversary of Aunt Pearl’s passing, which indelibly connected Durant to his Aunt Pearl’s memory. 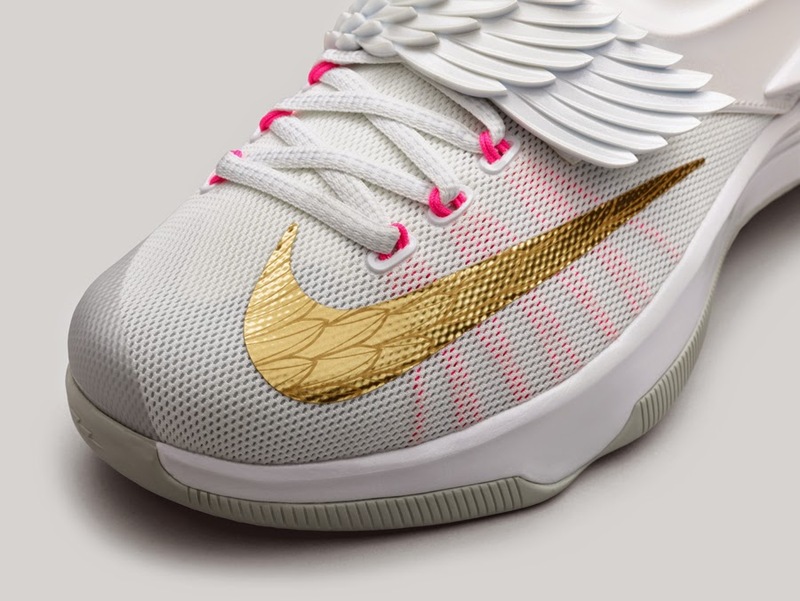 Nike designer Leo Chang’s inspiration for the new KD7 Aunt Pearl shoe came from Durant’s angel tattoo. 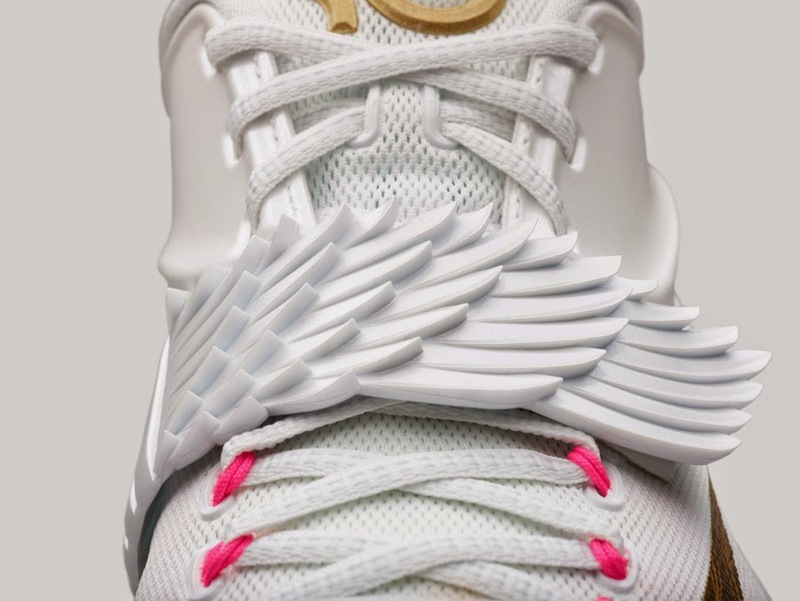 Chang brought Harris’s artistry to the shoe with a three-dimensional angel wing strap, a print of the actual tattoo on the inside of the tongue and wing-pattern detailing on both gold Swoosh design logos. 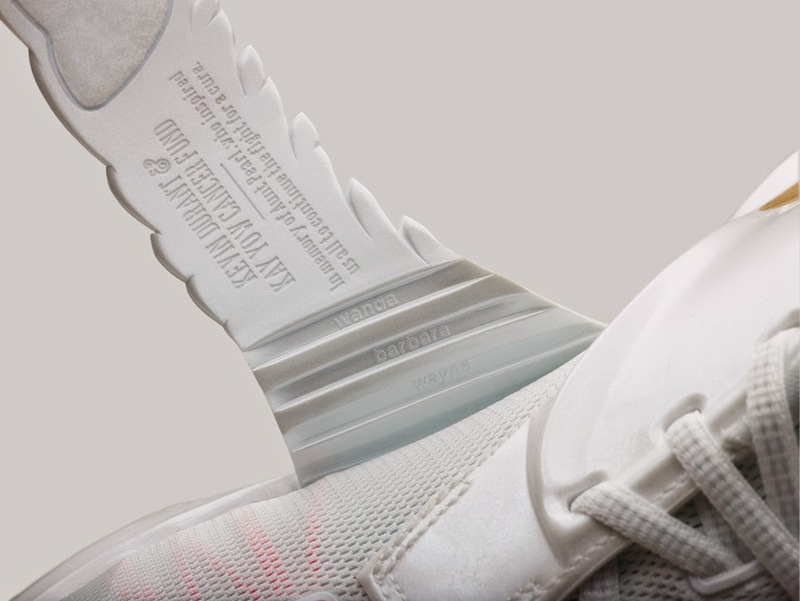 The subtle, pearlescent white-based shoe is intended to draw attention to its sculptural quality and one-of-a-kind forefoot strap. 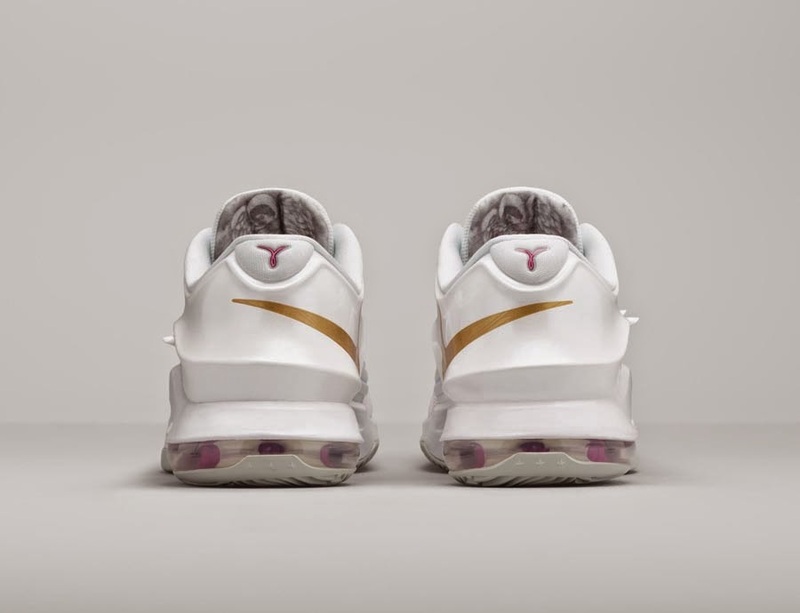 White is also the official color of lung cancer awareness. 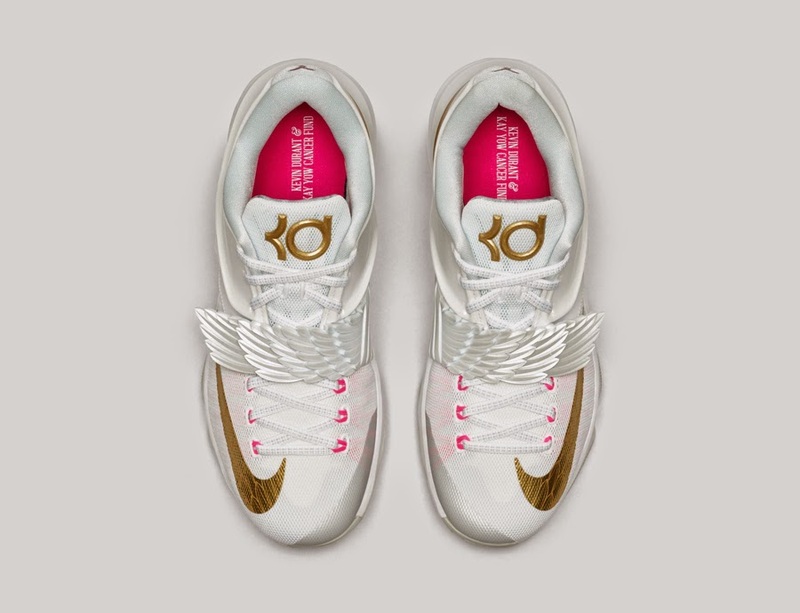 While honoring Aunt Pearl’s life, Durant and Chang also aspired to raise cancer awareness with the new design by adorning the heel with the Kay Yow Cancer Fund logo. 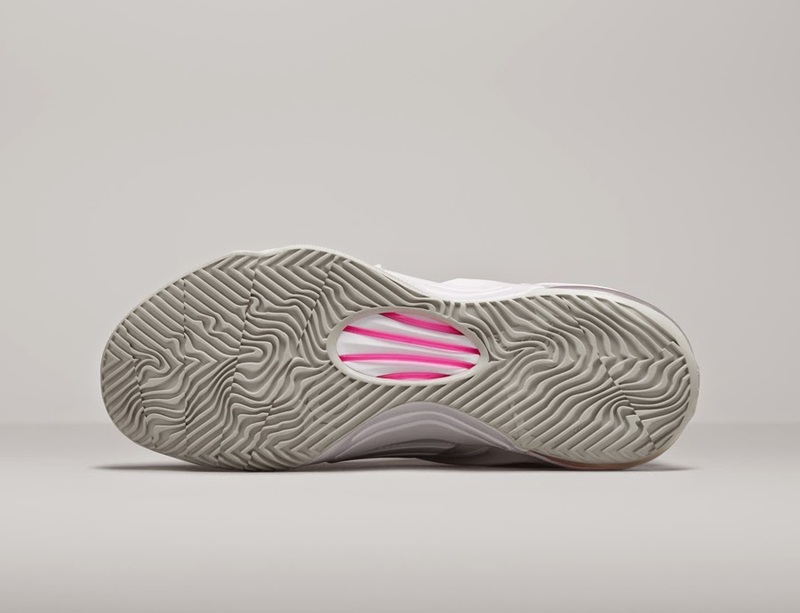 Nike has been a proud supporter of the work and efforts of the Kay Yow Cancer Fund for seven years. The Kay Yow Cancer Fund was founded in 2007 from the vision of the organization’s namesake, Kay Yow, former North Carolina State University head women’s basketball coach. The Kay Yow Cancer Fund is a 501(c)(3) charitable organization committed to being a part of finding an answer in the fight against women’s cancers through raising money for scientific research, assisting the underserved and unifying people for a common cause. 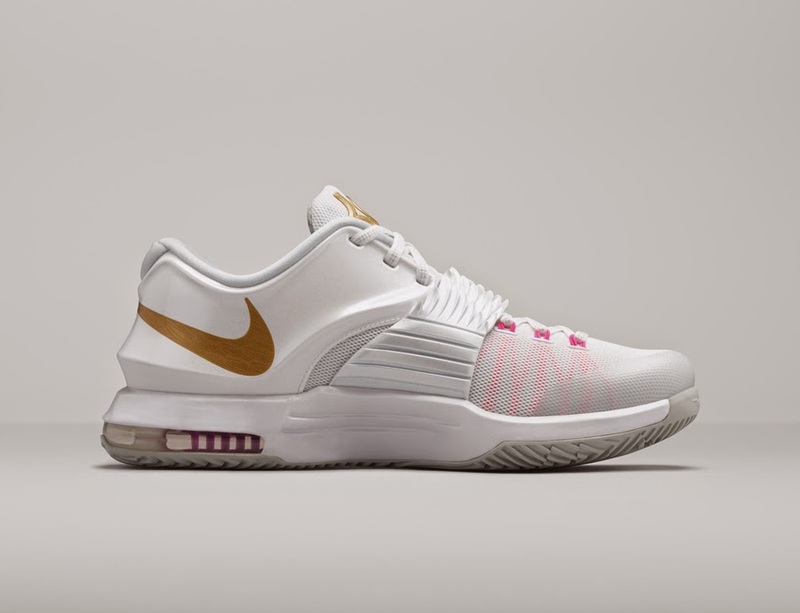 The KD7 Aunt Pearl shoe is available on Feb. 19 at nike.com and select retail locations globally. There are matching apparels for this offering that includes T-shirt, hat and socks.